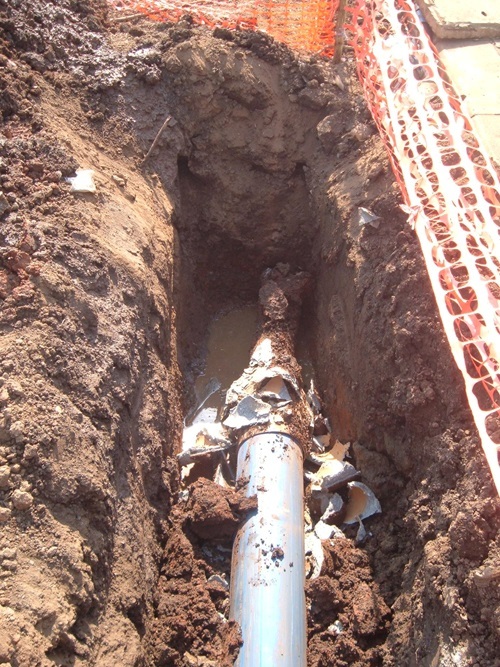 In Pietermaritzburg, the capital of KwaZulu-Natal province, South Africa, city officials were faced with replacing 2,200 meters of ageing metal water pipes as part of their 10 year plan to fight leakages. 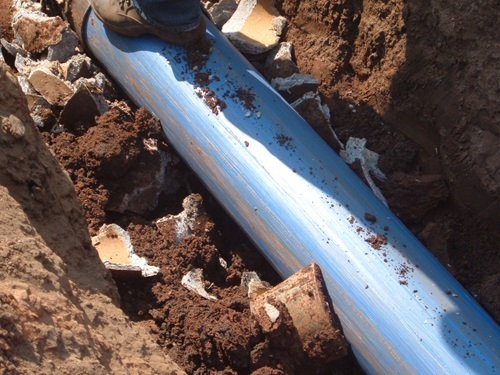 To minimize the inconvenience to its inhabitants, the Msunduzi Municipality chose to upgrade the existing inner city water mains without excavation, by bursting1 the old metal pipes and replacing them with Wavin TSDOQ pipes, made from Total XSene XSC50 material. Active in the pressure pipe industry for almost 40 years, Total strives to offer value-based solutions to its customers. Thanks to its proprietary technology, Total pioneered and has become the leader in PE100-RC (Resistance to Crack), the latest generation of high density polyethylene for pressure pipes. Its XSene XSC50 and XRC20 grades are renowned for their quality and used in trenchless pipe laying technologies. “The PE100-RC concept was originally developed in partnership between our companies and we have used it extensively in our Wavin TSDOQpipes” says Ralf Glanert, Product Manager, Wavin. “In the Pietermaritzburg pipe bursting project, the PE100-RC pipes were welded seamlessly into one long section and, in retaining all their strength, they were ideally suited to be pulled below ground through the existing pipe. The slow crack growth resistance of XSene XSC50 means, that surface damages during the burstlining and long time point loads, are covered by the TSDOQ pipe. Total offers a complete range of black and colored XSene compounds for gas and water applications, for use in full wall and multilayer pipe designs. Total’s PE100-RC compounds are the preferred choice for pipe installers and network operators as they allow the use of sandbed-free and trenchless installation techniques with the widest safety margin. In addition to cost savings, trenchless technologies reduce the carbon footprint of traditional construction methods through not closing roads, avoiding traffic detours and reducing roads and pavements repairs. 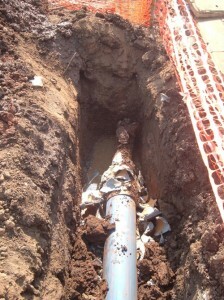 1 Pipe bursting is a trenchless method of replacing buried pipelines (such as sewer, water, or natural gas pipes) without the need for a traditional open trench. Launching and receiving pits replace the trench necessary in conventional pipe-laying.